Fun music activity for seniors! 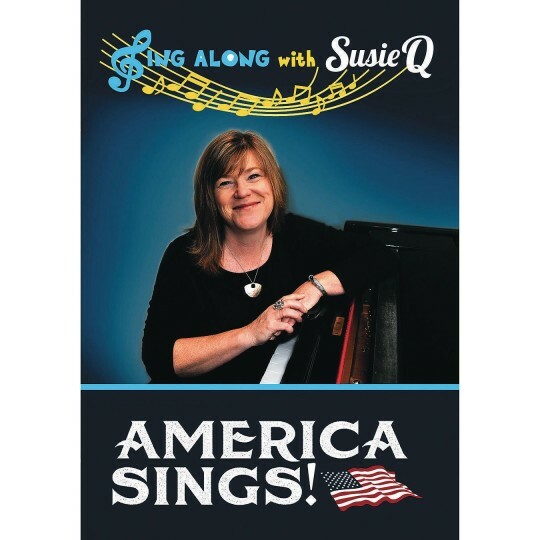 Sing Along with Susie Q music DVDs are a fun activity for seniors in nursing homes, assisted living homes, memory care, and adult day programs. Susie's contagious smile and upbeat personality are sure to brighten your loved one's day. 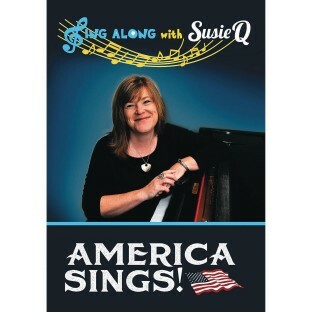 Enjoy American patriotic songs and folk songs with lyrics well displayed on the screen and free downloadable song lyrics. Songs are recorded in low keys to make it easy to sing along.